The charisma and charm of geekiness is powerful. Geek-charming poster boy Weezer’s Rivers Cuomo made nerdy glasses a must-have accessory, and Stephen Colbert–whose obsession and unmatched knowledge of the Tolkien universe holds a sweet, geeky greatness—remains at the top of the celebrity crush list (only in your dreams, though, as he’s happily married!). 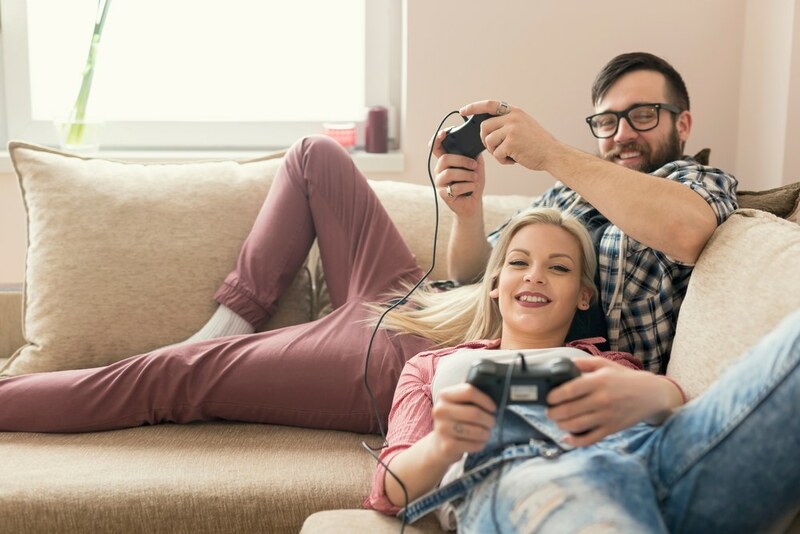 Whether his obsessions revolve around all-things deep space, sci-fi, literature, math or even sports (yes, the sports geek is real), present him with a nerdy wedding ring that celebrates him and honors all of his cute quirks. The guy who loves Star Trek, Star Wars or revels at the wonders of the infinite universe deserves a ring crafted from the stars. 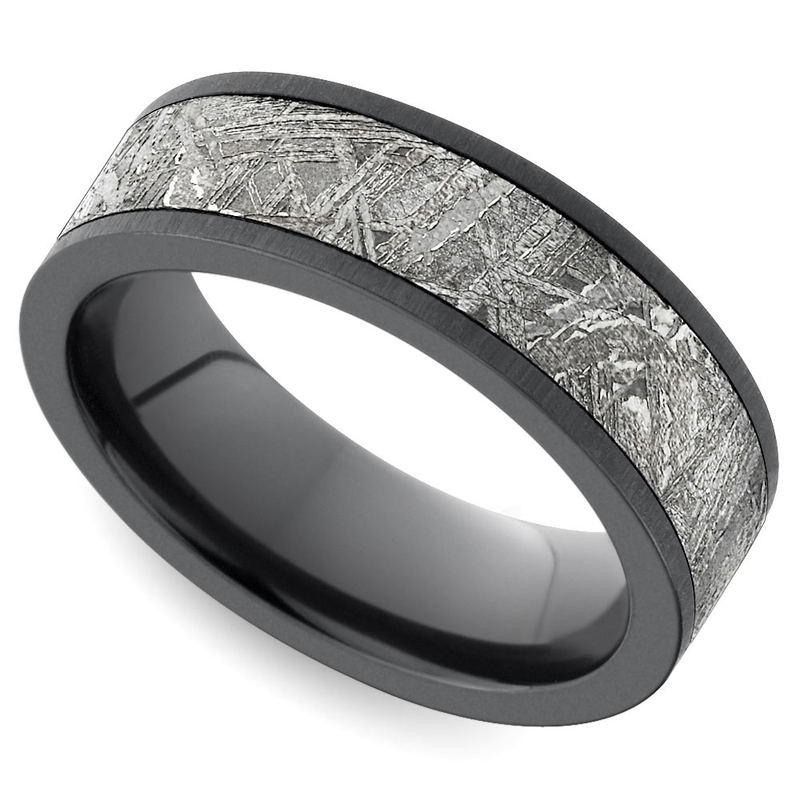 Give him a band embellished with an inlay of genuine Gibeon Meteorite. More than four-billion years ago, the meteorite fell to Earth in what is now Gibeon, Namibia. Choose a band of yellow gold or pull from a different metal from the Periodic Table and opt for zirconium or sandblasted titanium. 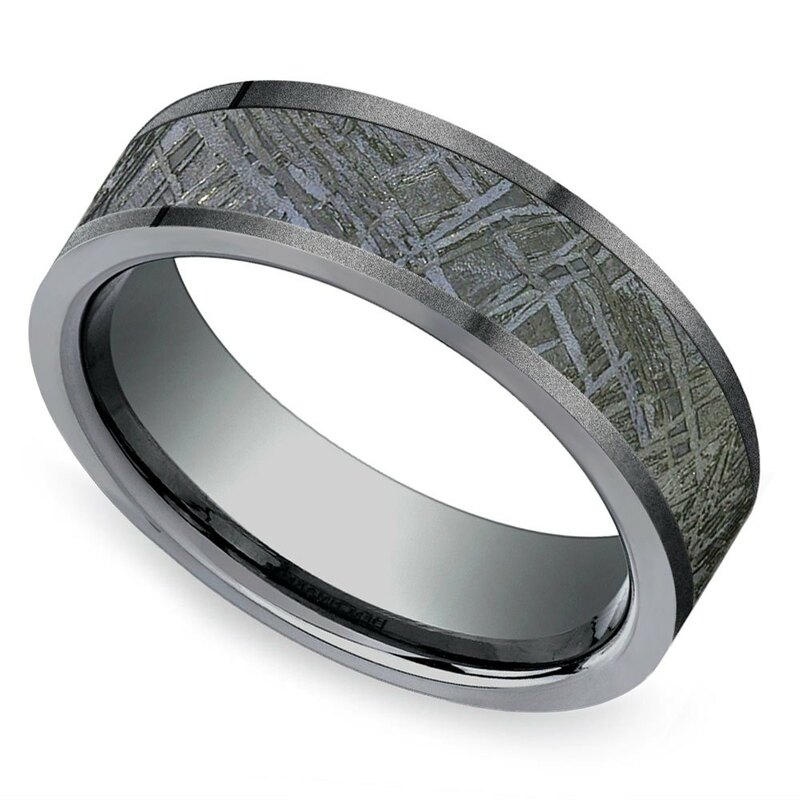 Regardless of the metallic element, he will geek out over the rugged rocky piece of meteorite that shoots across his ring. To boldly go where many men have been before, down a wedding aisle. 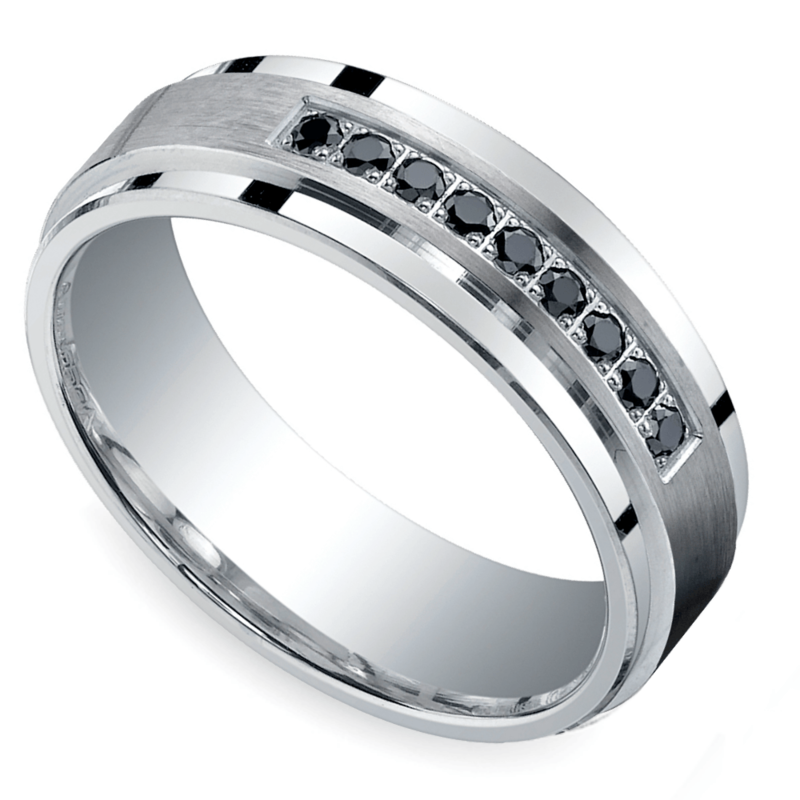 Trip up his knowledge about the universe and give him a nerdy wedding ring dotted with black diamonds. These dark sky gems might look typical, but their geologic composition holds a celestial secret. Carbonados—as they are scientifically known—feature a composition unlike a typical diamond. Research suggests that black diamonds were formed in “stellar supernovae explosions.” Carbonados are quite literally out of this world! 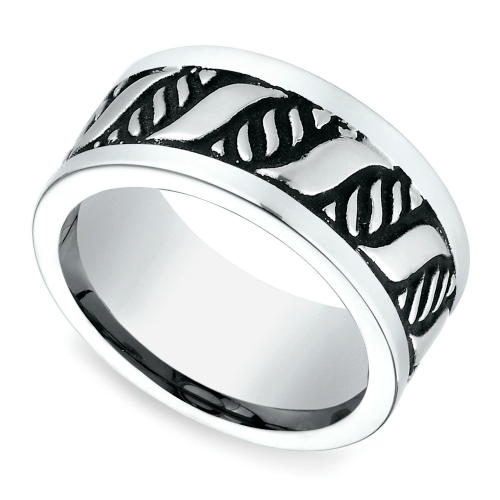 If your man is less about the stars and more about what goes on here at Earth, there are some nerdy wedding rings for him, too. 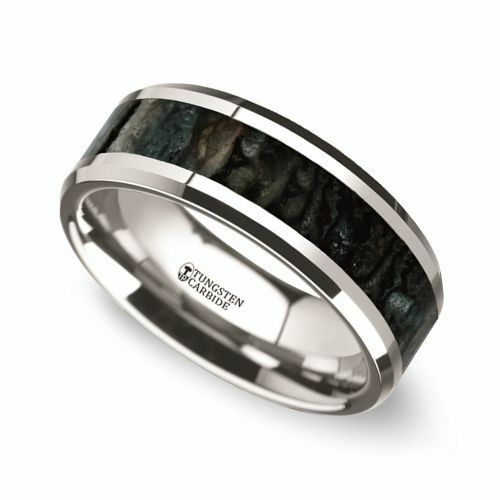 Try on a ring made with inlays of actual dinosaur bone, like the Beveled Dinosaur Bone Inlay Men’s Wedding Ring. Just don’t let him spend too much time in the lab, or you might end up with an amusement park full of extinct monsters in your backyard. The dinosaur bone is a beautiful agatized fossil that can be found in a variety of colors. If the black band and earthy-toned inlay aren’t quite his style, look for something with a pop of color, like a blue, red, or pink dinosaur bone inlay. If dinosaurs aren’t his thing, but he nerds out over science anyway, perhaps try a band featuring a double helix pattern. Just be careful if he asks you to cross alleles. For the computer genius, create a unique nerdy wedding ring that speaks the code of love. 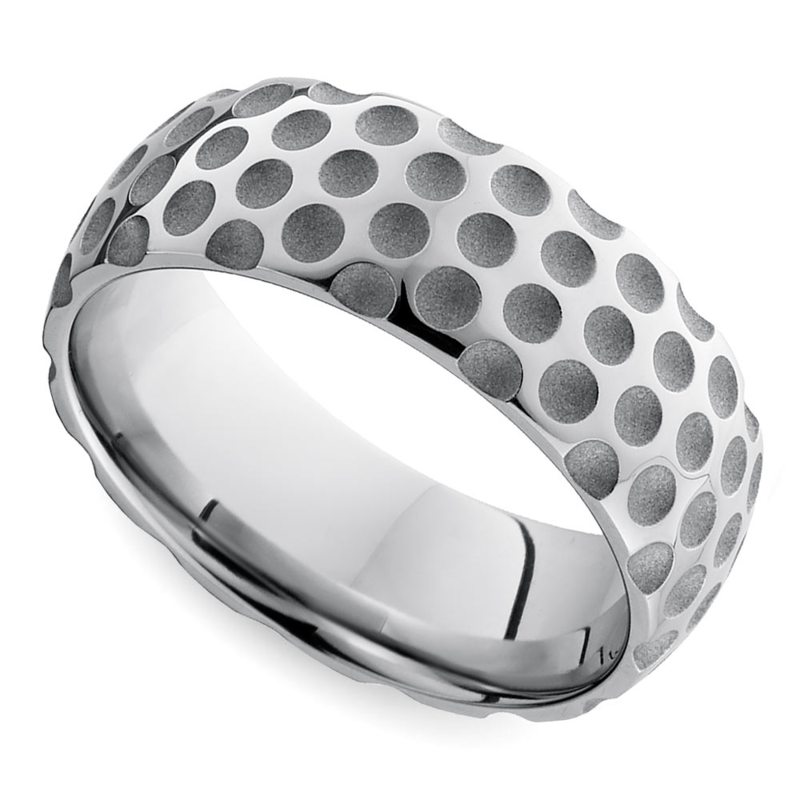 Choose a basic white gold or platinum ring and engrave the band with a scroll of binary code. For an extra nerdy nod, write a personal set of vows with the 10 reasons on why you love him! 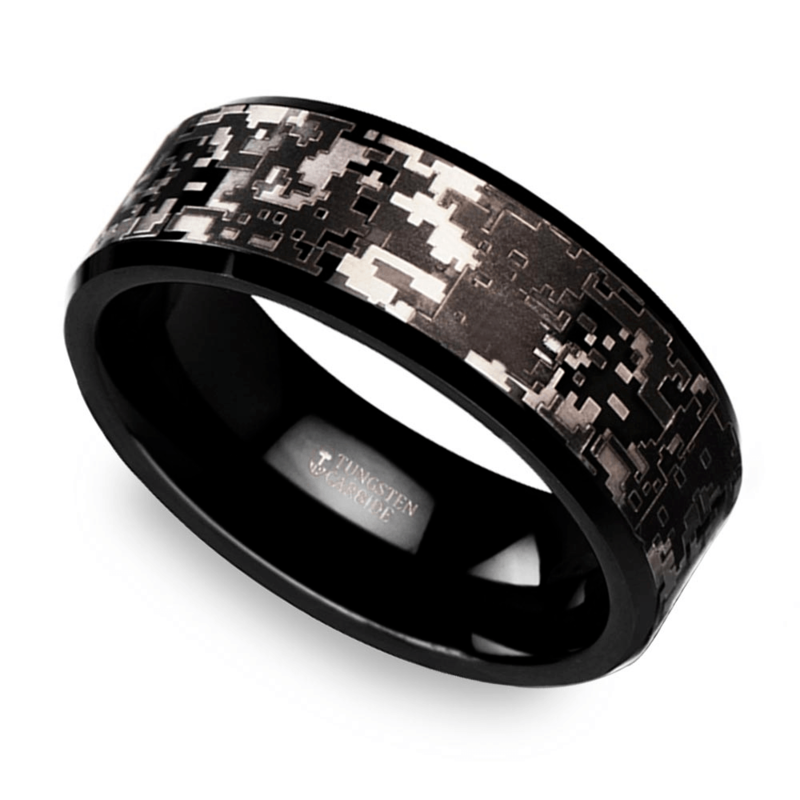 For a subtle set of code, choose a ring that offers a futuristic feel like the Digital Camo ring, which features a camo design in pixel form. Inside the band, write a message in code—any code. If he loves all things related to military history, carve his initials in the band using military alphabet code. The sports nerd exists. Each season, he obsesses over his favorite sport and ESPN remains his must-see TV. He can quote you player statistics for players from before he was even alive. There is no better way to honor your love for him and his love of the game than with a ring crafted to resemble the ball of the sport. 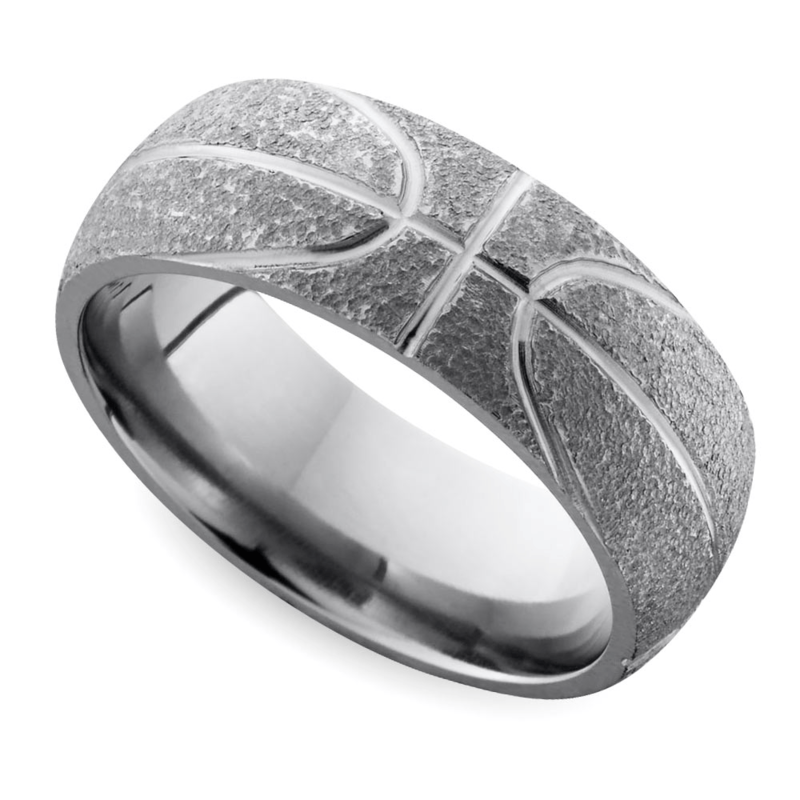 Whether he routes for the UK Wildcats or the KU Jayhawks, the stipple finish and deep curved grooves on the basketball band create a baller worthy nerdy wedding ring. Fore better or fore worse, the ring crafted with a dimpled texture creates a hole-in-one worthy nerdy wedding ring for a golf-lovers vows of forever. Present him with this unique cobalt band as a nod to his link-loving obsession. For the guy who marched in the band in high school, who loves music and who might have named his guitar, choose a nerdy wedding ring with musical influence. 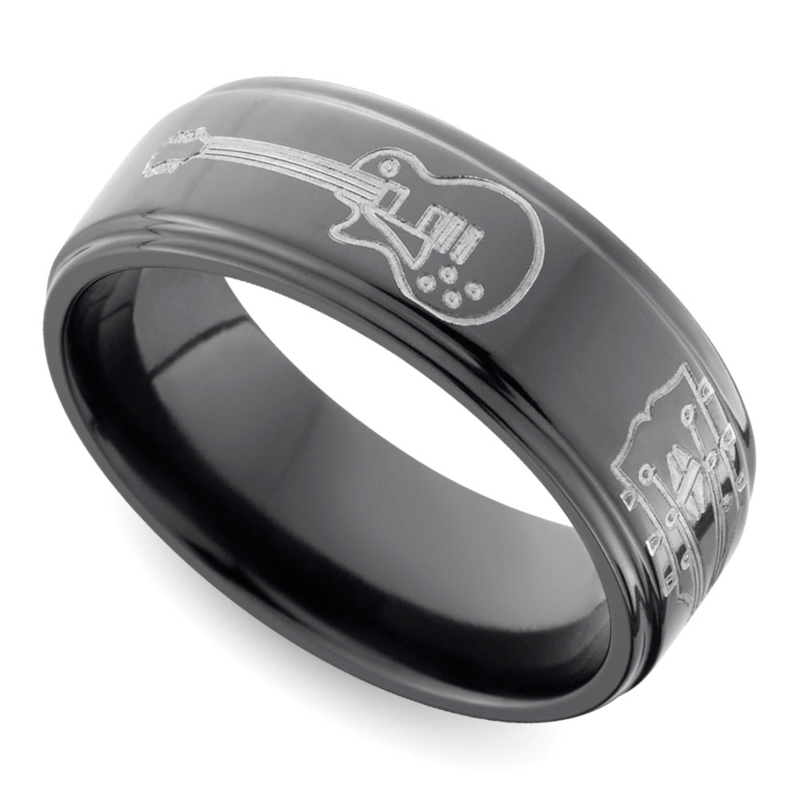 The Guitar Patterned men’s ring features a laser-engraved guitar pattern with a black zirconium band. No matter where he goes, he will carry this six-string with him forever. If he’s obsessed with all things Grunge and wants to hang out near “the muddy banks of the Wishkah,” give him the ring that nods to Soundgarden, Pearl Jam and Nirvana. 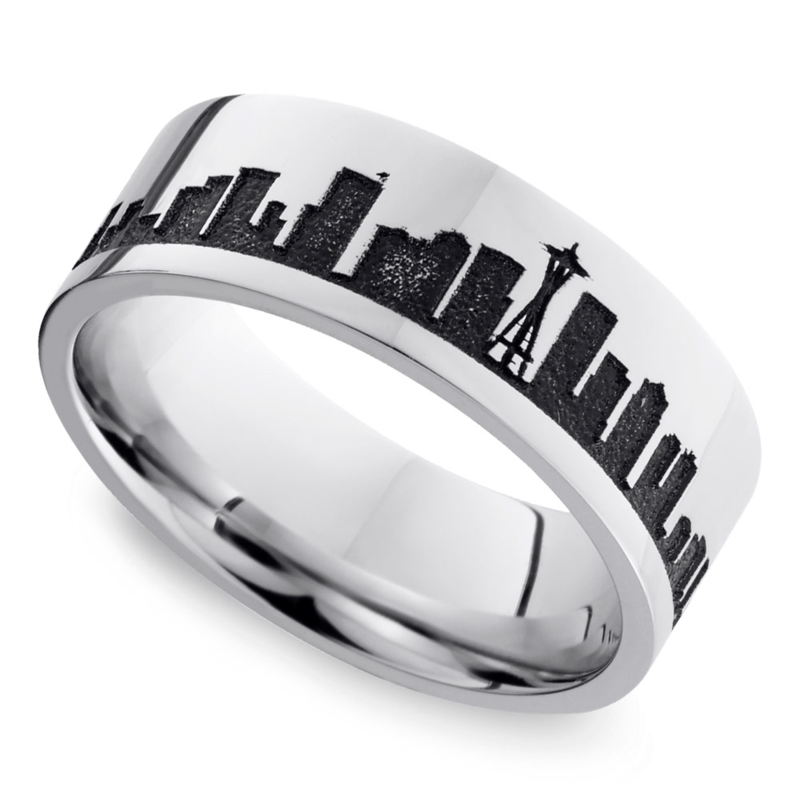 The Seattle Skyline ring honors the hometown of Grunge and includes the iconic Space Needle. Your nerd isn’t like the others. He’s the real thing. Comic books, superhero movies, anime, and cons, your nerd goes all out. He’s probably even won a few cosplay contests. 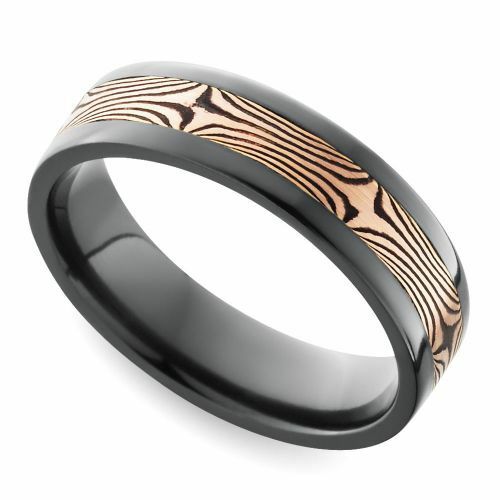 If your future husband has a thing for Japanese culture and isn’t afraid to show it, give him a band made use Mokume Gane. Unique and dynamic, this metalworking technique was first invented in Japan, and as its translated name suggests, it was meant to create pieces that resembled the look of wood grain. Not only is each band one-of-a-kind due to the process of its creation, but they are truly beautiful works of art. What better way is there to honor your nerd’s inner otaku? In your love story, the nerd always gets the girl! Celebrate his quirks and his charm with a ring that captures his unique spirit and his wonderfully nerdy, but irresistible, Brilliance.